(Upcoming Show) Counting Crows Bring Tour to Codfish Hollow Barn for 4th of July! Published on May 15, 2012 in Bands/Artists, Daytrotter, Eastern Iowa, Music, Out and About and Upcoming Show. 0 Comments Tags: Adam Duritz, Barn, Barn on the Fourth, Barnstormer, Codfish Hollow, Counting Crows, Daytrotter, Daytrotter.com, Filligar, Foreign Fields, Good Old War, IA, Live, Maquoketa, Upcoming Show. As many things do any more, it all started with a tweet. 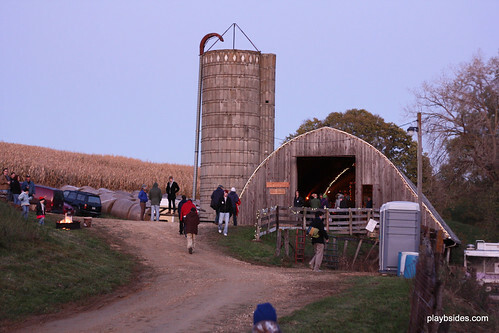 For the last couple of weeks Daytrotter has been featuring some of the notable sessions from the previous Barnstormer shows, so when Codfish Hollow posted to Facebook yesterday about some big news coming up, I figured it was going to be a Barnstormer announcement since Codfish Hollow has had the distinction of being the home base for these shows. 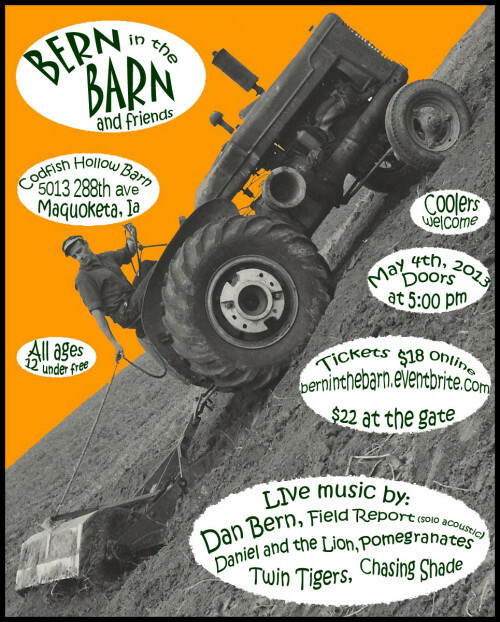 The details for this show are only just finalizing right now, so there isn’t any information about tickets yet, but considering that the venue (also known as a “barn”) has a reasonable capacity of around 500, these tickets will be as rare as hen’s teeth, as they say. I’ll update this post with any information that I get. What a wonderful opportunity for Eastern Iowa! You should consider signing up for a subscription to Daytrotter— a fantastic deal at $2 per month for some amazing sessions and other perks. 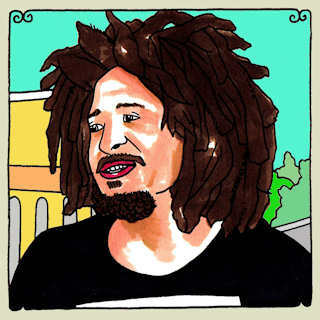 Click Here to listen to Counting Crows last Daytrotter Session. 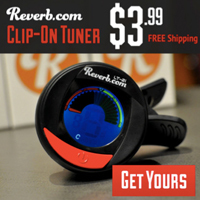 Published on April 6, 2009 in Bands/Artists, Music, Out and About and Upcoming Show. 0 Comments Tags: Basilica Block Party, Black Crowes, Counting Crows, Gary Louris, Jayhawks, Live, Mark Olson, minneapolis, The Hold Steady. It seems that the reunion of Gary Louris and Mark Olson which produced the fantastic Chris Robinson-produced Ready For The Flood, has grown enough for them to consider some Jayhawks reunion shows. Right now, the only confirmed U.S. date is the massive Minneapolis Basilica Block Party on Friday, July 10th which has them sharing the bill with The Black Crowes and Mat Kearney. Continuing the Crows-theme, The Counting Crows play on Saturday along with Twin Cities ex-pats The Hold Steady and Matt Nathanson. Tickets go on sale 4/24, and you can pick individual day passes or a pass for both days. No ticket prices are announced, yet. The Time to play b-sides archives for the counting-crows tag.